Welcome back to Vintage and Thrift Hunting this is Post #11. I am pretty sure the universe is telling me to slow down, three weeks ago while doing a simple task I stepped the wrong way and broke my foot. It slowed me down for a wee bit but not much, not even a broken foot can stop me from sniffing out a vintage bargain. I’m excited to share with you my latest thrifty, vintage and auction finds. 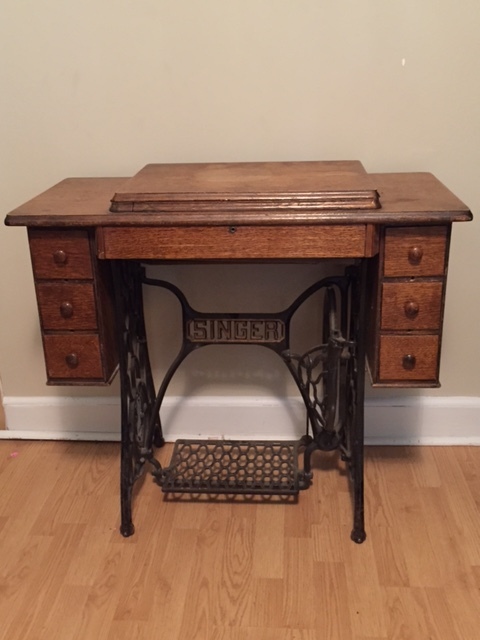 For any vintage and antique sellers out there, do you see or experience trends in the items that sell from your site or booth? 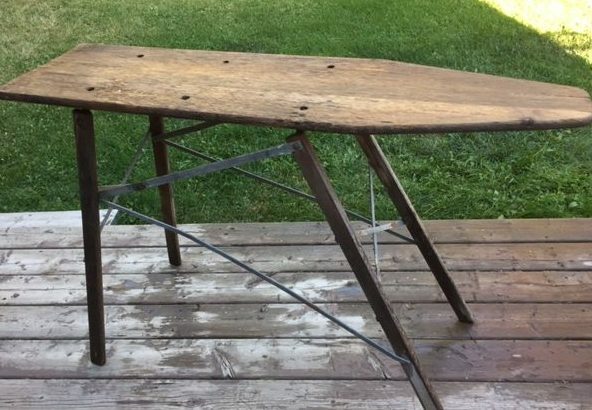 On a few occasions I have had the opportunity to purchase vintage wooden ironing boards. The first two I purchased I had grave difficulty selling but the last two I purchased (both at auction) sold almost immediately. 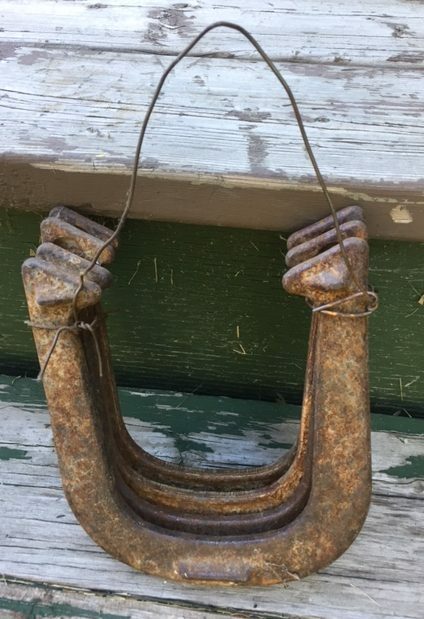 Vintage rusty horse shoes, need I say more. I simply couldn’t resist them. I was on my way back from the grocery store and I saw a big handmade wooden sign that said Yard/Estate Sale. I thought why not, can’t hurt to stop for a minute eh? This sale was one of my favorite kind, tons of stuff strewn all over the yard, barns, sheds and garages all full of a lifetime of collecting. No prices, just “make an offer” or make a pile and they would give you a price. Now which one do you think I chose? 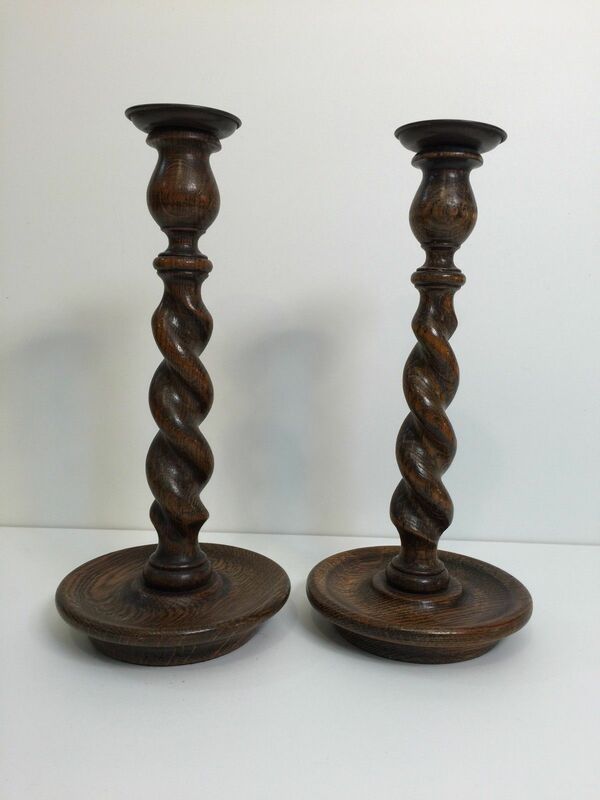 I was fortunate to win these Barley Twist candle holders at auction. I haven’t put these up for sale yet as I have not been able to ensure their authenticity – these things take time. If anyone has any information regarding these candle sticks, I’d like to hear from you. 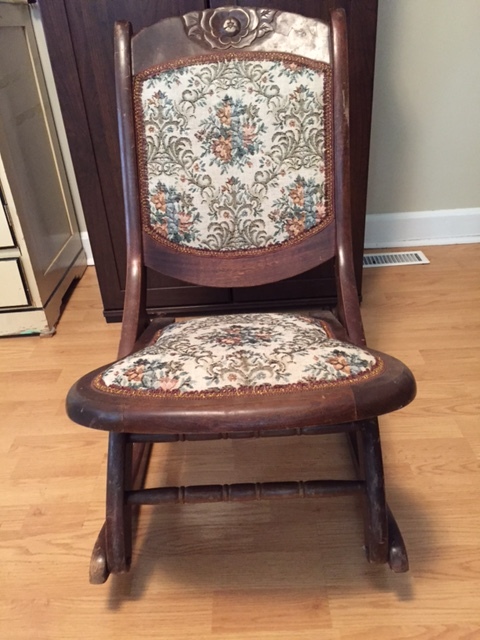 When the twins were born, I gave my daughter my vintage rocking chair as I thought she would need it more than I would. As luck would have it, another one found its way into my life. This beauty was found at a thrift store for a mere $25.00 – I absolutely love it and its perfect for rocking two babies at once. 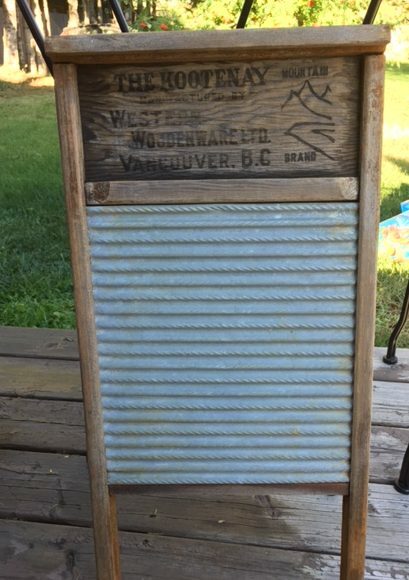 This entry was posted in Decorate, vintage and tagged antique, collectible, Decorate, display, home, horse shoes, ironing board, metal, old, paint, repurpose, reuse, rocking chair, simple, thrift, thrifty, vintage, washboard, window. Bookmark the permalink. I love the candle sticks. Very pretty. Wow love all the items. Ironing board and washer. Horse shoes would look neat on a wall.